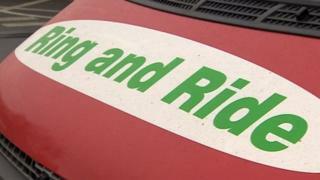 A firm which runs Ring and Ride and school transport services for thousands of people will continue operating after funding was found. Concerns were raised over the future of services when Accessible Transport Group (ATG) went into administration. Matt Ingram, joint administrator from Duff & Phelps Ltd, said it would ensure "vital" services were not interrupted while it sought a long-term solution. Birmingham City Council 's cabinet approved £1.4m funding over 12 weeks. Transport for West Midlands has also agreed to funding for ATG, Mr Ingram said. "This is great news for those who rely on these accessible transport services here in the West Midlands," he said. ATG transports 1,600 children a day in the city, the council said. The authority is looking for alternative providers and has redirected 11 of the 210 routes it covers, the Local Democracy Reporting Service said. It was revealed the council made a £300,000 advance to ATG after "cash-flow issues" were reported in September, the LDRS added. ATG has more than 600 vehicles and 72,000 registered users for its Ring and Ride services in areas including Birmingham, Wolverhampton and Coventry. "We are very aware that the majority of the services that the charities provide are vital to those that rely on them so we are delighted to have been able to secure new funding as we now work to secure the long-term future of the service," Mr Ingram said. Image caption ATG transports people with mobility difficulties and those living in rural areas. It transports about 2,800 children and young adults between their homes and schools or colleges, and it has contracts across the region, including with Warwickshire and Worcestershire county councils. The provider's igo bus services cover 43 routes in the West Midlands and Worcestershire.